Lama Zopa Rinpoche arriving at Kopan Monastery, where he will teach during the annual Kopan meditation course, Nepal, December 2018. Photo courtesy of Kopan Monastery Facebook page. Lama Zopa Rinpoche was greeted by hundreds of nuns, monks, and lay students at Khachoe Ghakyil Nunnery and Kopan Monastery upon his return to Nepal. 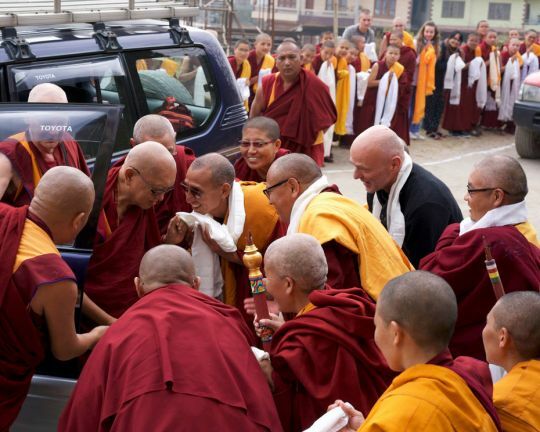 Rinpoche first went to the nunnery, where hundreds of nuns were waiting to greet him. Rinpoche stopped and visited the nunnery gompa before going up Kopan hill. Lama Zopa Rinpoche arriving at Khachoe Ghakyil Nunnery, Nepal, December 2018. Photo by Bill Kane. 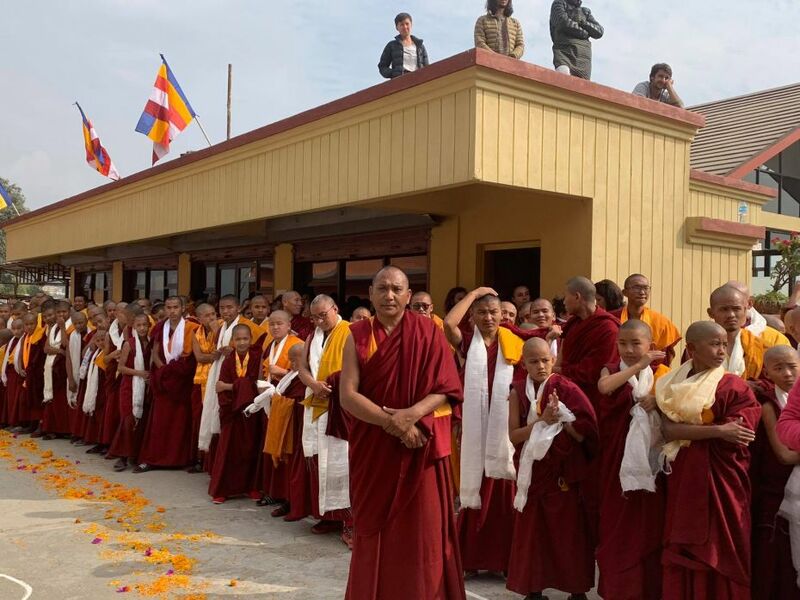 At Kopan Monastery, the monks and lay students attending the 51st month-long Kopan lamrim meditation course lined up to greet Rinpoche, offering khatas and welcoming him back. Monks and lay students at Kopan Monastery awaiting Lama Zopa Rinpoche’s arrival, Kopan Monastery, Nepal, December 2018. Photo courtesy of Kopan Monastery Facebook page. Rinpoche started giving teachings at the Kopan course, which are being streamed live online. Rinpoche often teaches at the 3:30 p.m. session (UTC+5:45), although times are subject to change. 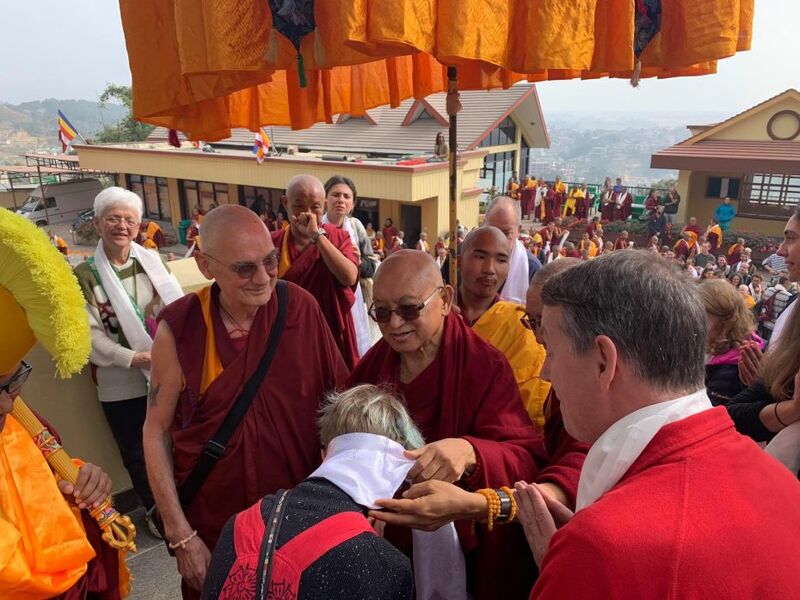 Rinpoche will be teaching at the Kopan course until it concludes on December 17 with the long life puja offered to Lama Zopa Rinpoche on behalf of the FPMT organization. 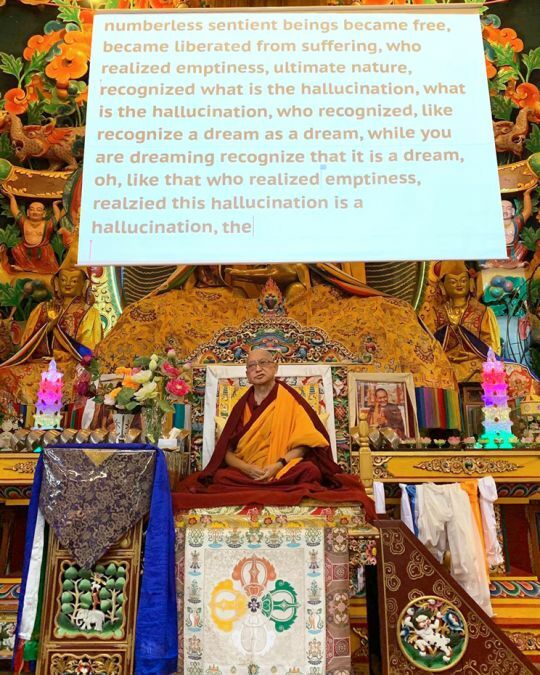 Lama Zopa Rinpoche teaching at Kopan Monastery, Nepal, December 2018. Photo by Bill Kane. 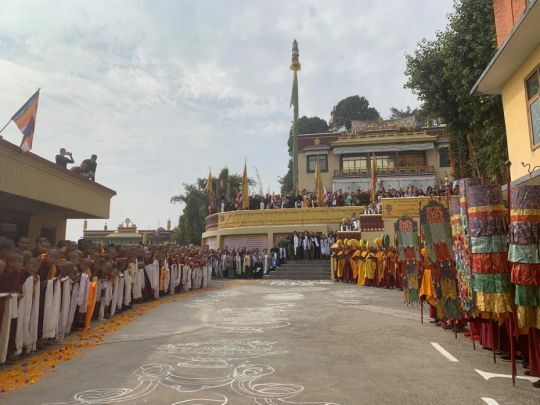 Kopan monks during Lama Zopa Rinpoche’s arrival, Kopan Monastery, Nepal, December 2018. Photo courtesy of Kopan Monastery Facebook page. 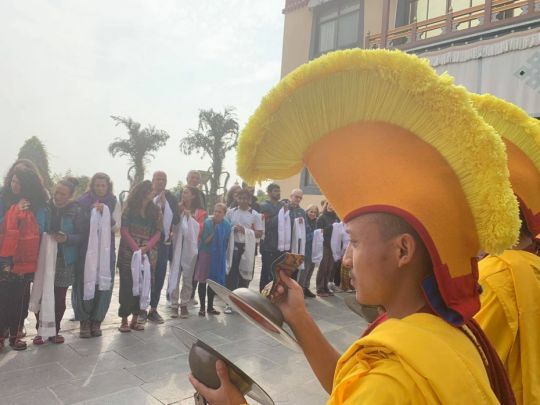 Monks and Kopan course students welcoming Lama Zopa Rinpoche, Kopan Monastery, Nepal, December 2018. Photo courtesy of Kopan Monastery Facebook page.